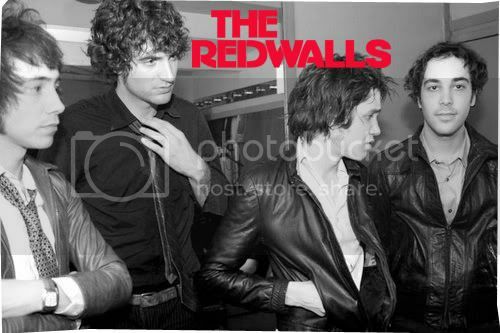 The Redwalls to me, recalls a British version of the Australian band Jet, when the truth of the matter is; the Redwalls are actually from Chicago. The band simply channels the good old fashioned rock and roll era circa the Beatles; from their music to their appearance, to almost everything else. Too bad this time around, the critics aren’t impressed by any of it, and that had the band defensively echoing them in one of their tracks, ‘Modern Diet’: They said it's all been done before / And that there's really nothing new / I guess that's just your point of view. Regardless of all that, one particular statement by SPIN rings true, that although they’re irretrievably unoriginal, yet they’re still ultimately sorta likable. I have to admit, I sorta do have a certain likeness for the band and consequently the music however “irretrievably unoriginal” they may be-- following three previous releases, their 2007 released eponymous album, has got to be one of their finest yet. The braying garage rock track opener, ‘Hangman’ is jarring and augmented with rasping vocals, that I’ve always liked because it has a sense of catchiness to it that isn’t entirely draining. Then you’ve got a track like ‘Summer Romance’ where one would describe as the ballad the Strokes never got around to doing, though I politely disagree, because it’ll be the death of the Strokes before we’ll ever get to witness such a track done by the band-- I mean, when it concerns other bands, it’s completely fine by me, but the Strokes producing such a song, is merely unacceptable. In the slower track like ‘Little Sister’, is where you observe how the band effortlessly bounces back and forth from a raw-sounding, revival rock tune, to a slightly contemporary, subtle, diffused song, that’s lightly painted on with dreamy, wistful guitar parts.